The first day we got there, we arrived in Fortress Hill which is a few MTR stops away from Central (the heart of the city). We did some exploring around our hostel and decided it would be a good idea to have some lunch! Since it was a rainy day, we did not want to venture too far out so we went to a nearby restaurant called LMX where I had some amazing milk tea, rice, herbed chicken wings and pork — all for the cost of only 29 HKD (3.75 CAD)! After a delicious lunch, we settled into our hostel and decided to begin the ultimate shopping experience at Mong Kok Ladies Market. With myself and 3 other girls who love to shop, we shopped till we were exhausted! Surrounded by shoes, hello kitty, designer bags of questionable legitimacy and local HK souvenirs; the HK Ladies Market was so much fun! The Ladies Market is full of locals, foreigners, food and drinks that just make the experience all the more worth while. 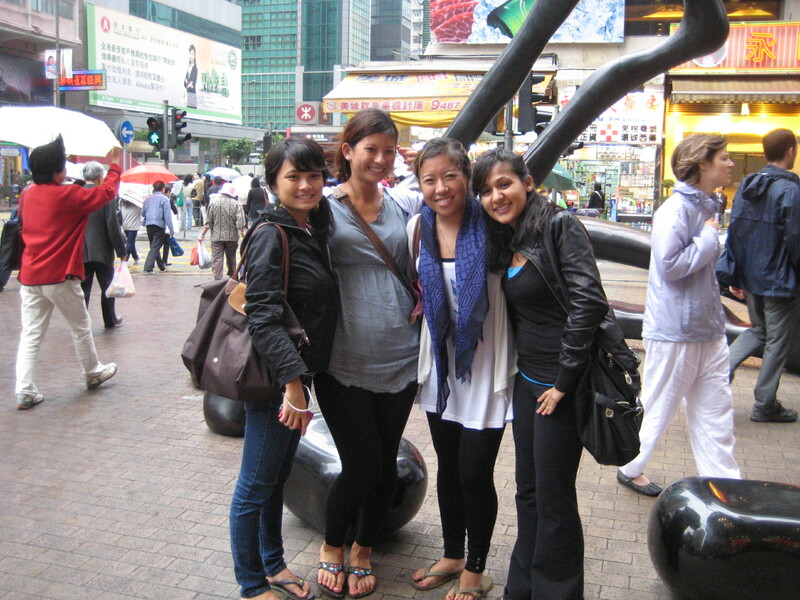 When we finished our 6 hour shopping spree, we decided to head over to have some local Hong Kong food. 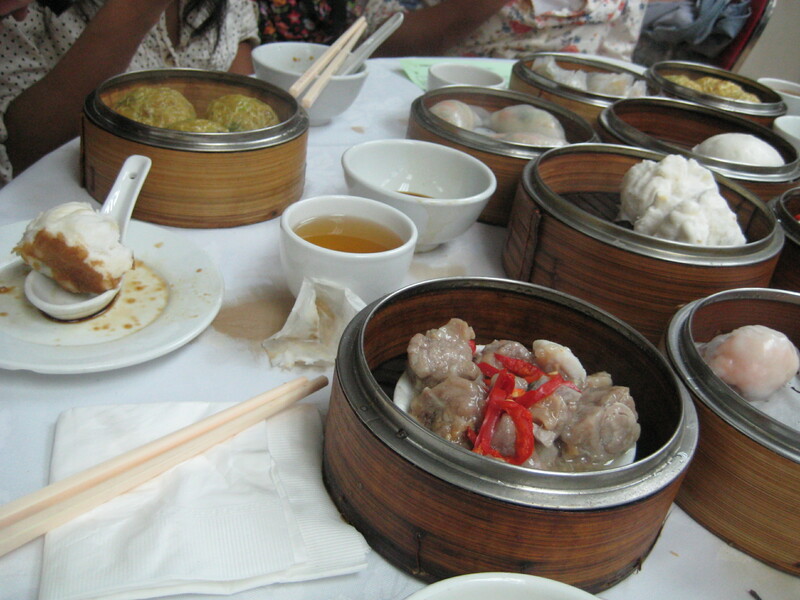 Fortunately for me, I was with 3 other girls who are very familiar with Chinese culture so we knew the right places to go and eat. We ended up at a local restaurant where we ate a dim sum like cuisine (I forget the actual name but will find out) filled with soup and pork…this was ABSOLUTELY AMAZING! Among 4 girls we must have ordered 10 orders of this (4 in each order) so we ate 40! This was by far one of my favourite dishes so far. After our awesome dim sum feast we headed over to Ocean Park. Although Ocean Park was a typical theme park full of rides and animals, it was a really neat experience because we got to ride cable cars across the park. There are even escalators to take you from one end of the park to the other since it is built on an inclination so it is pretty hard to get up to the top. While we were going up the escalator, we actually saw an elderly woman faint and fall down the escalator. This was a traumatizing experience because we were standing right behind her and saw fall down the numerous stairs. However the medical authorities arrived quickly and the woman was treated. 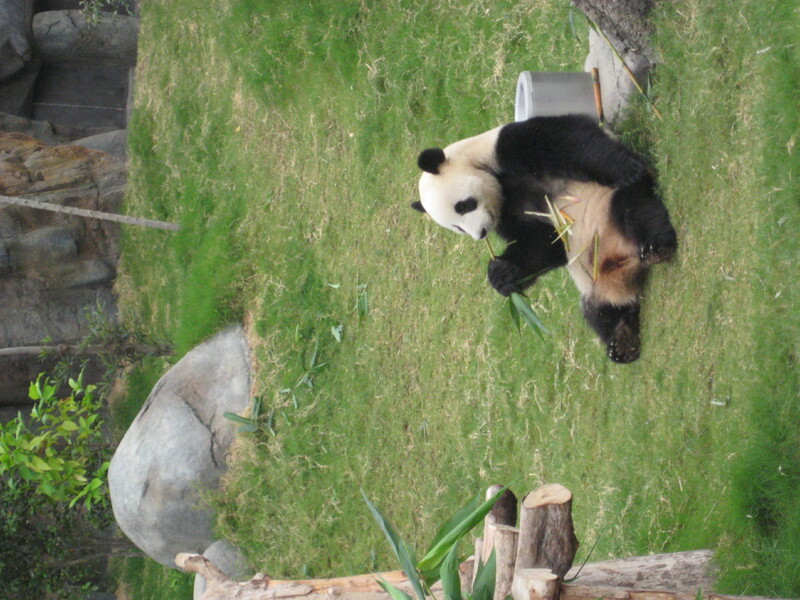 While we were in Ocean Park we also saw…PANDAS! They were so adorable and they just sat on their backs enjoying their bamboo sticks haha. As the evening approached we went over to the Victoria Harbour to watch the The Symphony of Lights show which is an audio and lights show which can be seen across the Hong Kong city skyline. The show was incredible to watch but just being at the Victoria Harbour and seeing all the buildings light up was just amazing. Although I have always loved the Toronto city skyline, the Hong Kong city skyline is full of colours and multinational brands showing off their buildings. Once the light show was over we explored the Avenue of Stars which is kind of like the Hollywood Walk of Fame (but Asian style) with lots of famous Asian celebrities like Jackie Chan, Bruce Lee, Jet Li etc. Now the real fun begins…when we finished exploring the Avenue of Stars we headed back over to Mong Kok and we found a building full of Asian photo booths! (haha) Being the fun girls that we are, we decided it would be hilarious to take series of photos in one of those Japanese photo booths that always make girls look really good! We must have spent at least 2.5 hours here taking the most hilarious and ridiculous photos. One of my favourite poses was “the family portrait” courtesy of my good friend Diana Yin who proposed that we all strike a pose family portrait style. On our third day in HK, we actually decided to make a day trip to Macau which was only a ferry ride away but see my blog post on Macau for more information on that trip. Finally we arrived in our final day in Hong Kong. We began the day at the Kowloon Walled City Park which is a park just outside of downtown HK which was originally a Chinese military fort but has since become a city park resembling architecture from the Qing Dynasty. 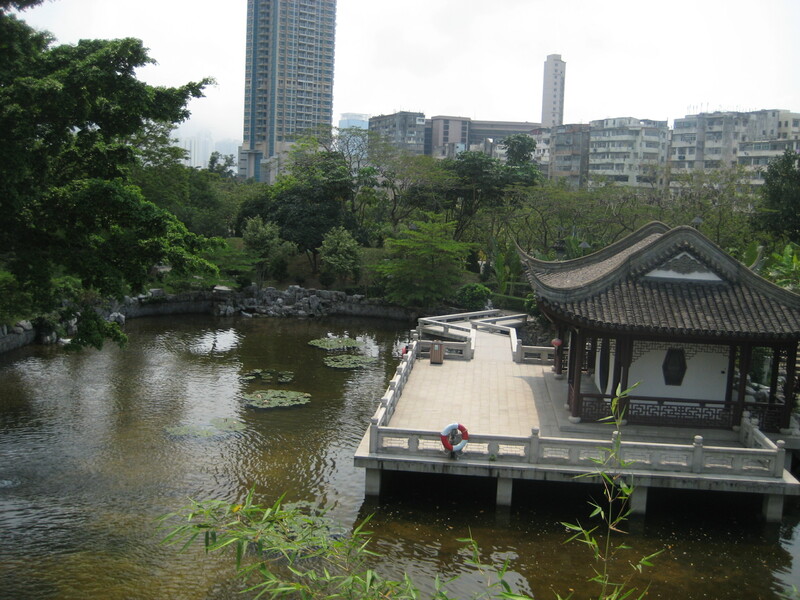 The Kowloon Walled City Park was a nice get away from the hustle and bustle of the busy HK life. One of the most interesting things in the park was the Garden of Chinese Zodiac, containing stone statues of the 12 Chinese zodiac animals. Since Hong Kong is known for its electronics, we then headed over the infamous Electronics Market to do some shopping. Some of my friends ended up buying thigns like memory cards, external hard drives etc. I actually ended up walking away with a Nokia cell phone. Although it is seemingly pretty basic, the phone itself is actually really nice! Since I have been without a phone in Asia for quite some time, I thought it would be a good idea for me to get one that I could also use while travelling in India. The cell phones that I saw were all at really good prices and there is no GST which makes the experience a lot more fun! Aside from all the ridiculous amounts of shopping and incredible food, we had numerous stop overs at the bakeries in Hong Kong. The bakeries all smell so sweet and delightful that you can’t help but be lured in with the scent of freshly baked items. Some of my favourite treats were the egg tarts (actually made of custard) and pineapple buns! 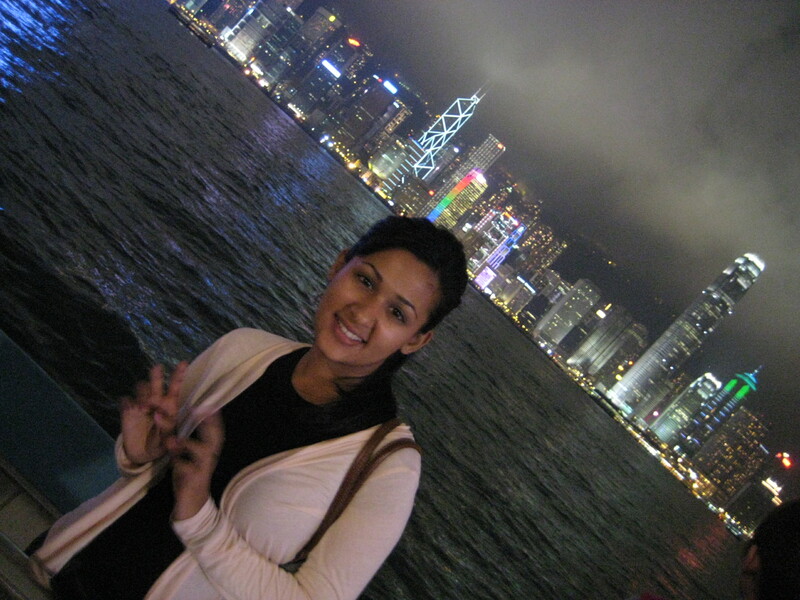 Nevertheless, there isn’t one specific thing that one can say they love about Hong Kong but it is the cosmopolitan lifestyle of the city that makes you want to stay.